SoftPlanet makes it possible for everyone to get free Zuma download directly from our servers. There is no registration needed for downloading. Just like most things in the real world, simpler is always better. Zuma Deluxe 1.0 is just like that. It is a very addictive puzzle game. Zuma is all about a small Aztec-like frog, which revolves on its own axis. The frog spits out balls in multiple colors, which destroy the other balls. The main purpose of the game is to keep them away from accessing the scared golden skull in the center. 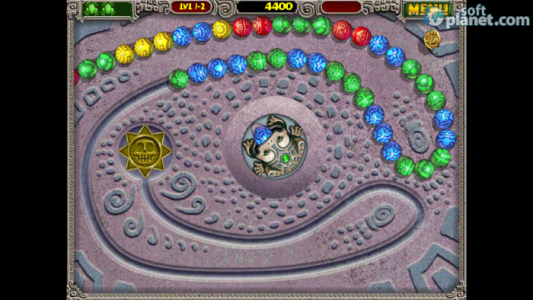 The balls are colored in blue, red, green and yellow. By spitting out balls of the corresponding color, they will disappear if they are more than three lined up in a row. Sometimes you can also choice what color of balls to spit out, by clicking the right mouse button. 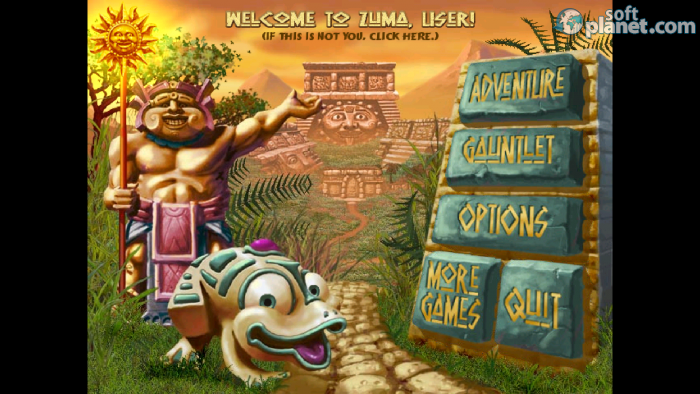 Zuma offers to game modes, Adventure and Gauntlet, which you can enjoy for only 60 minutes, because it is a trial version. This is one of the games, which is appropriate for both young and old people. SoftPlanet warns that Zuma is extremely addictive, so be prepared for whose-turn-is battles. Our security scan shows that Zuma is clean from viruses. The current version of Zuma has been scanned by our system, which contains 46 different anti-virus algorithms. That ensures that Zuma Deluxe 1.0 is 100% safe for your computer.